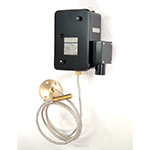 Oil level gauge & relay and Temperature relay are working at hydroelectric power stations. 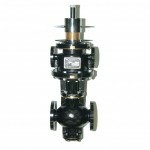 Differential pressure regulator and Oil relief valve are used with seal oil system at thermal power stations. This product can be widely used as a measuring instrument for management and control of bearing temperature of turbine. 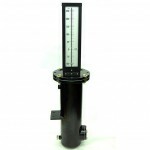 The setting temperature can be easily set by the temperature adjusting dial outside the measuring instrument. 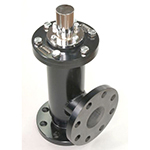 This product is used in the sealing oil unit of the hydrogen cooling type generator in power stations operated by combined cycle method, and to prevent pressurization to the oil flow inlet of the Differential pressure regulator keeping the pressure at the oil pump discharge port at an optional fixed value. 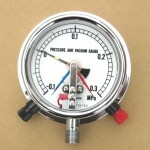 This product is a pressure gauge with alarm contacts for oil regulating tank, which is used for the OF cable for ultra-high voltage power transmission. 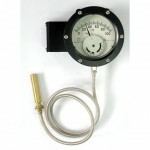 This pressure gauge indicates the pressure of insulating oil or insulating gas in the cable, and outputs an alarm when the pressure exceeds the specified range.